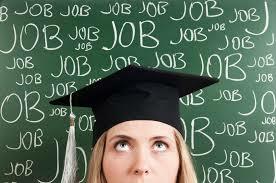 You have graduated from College and with your diploma in hand you now seek that job dreamed of for years. Then you discover that companies are only looking for people with experience. So how do you get that experience? One great option to is to get a job as an intern. Thousands of companies hire interns to try them out short term to see if they are right long term. Often students will even do an internship before they leave college over the summer. That way you can show you have some experience in your field right when you graduate. Sometimes it is paid and sometimes not, but either way it can be very valuable. Where can you find available internships? You can use the more common job sites like Indeed, Careerbuilder, Monster.com or Linkedin and just search with words Intern or Internship and the chosen field you are interested in. Idealist.org is a site to find positions as an intern or volunteer, or at a non-profit. Absolute Internship is a site for those who may be looking to travel to other countries for an internship. Internship Programs is essentially a landing page of internship openings from anywhere. Way Up is a site that focuses on jobs for newly graduated or current students. Another way to find an internship is through your own Network. Your friends, family, church or social networks. By saying “hey I am looking for an internship” you basically saying I am looking to work for free or for less than people you usually hire to get some experience. Now that is a pretty compelling offer to someone who may need help but doesn’t have a budget to hire someone fulltime or Long-term. Here are a few pieces of advice I would suggest to you in your internship search. -Be flexible. Just as the ultimate job may not be readily available, the ultimate internship may not either. If Google is not available, then maybe doing Marketing for a chain of Grocery stores is. -Treat an internship search as a job search. Put together a strategy, write a good resume, practice interviewing. Do all the things you would do if you were looking for a Career Job. Intern at looking for a job, the practice will do you good. -Remember why you are looking for an internship, for experience. You took different classes in college to discover what career you wanted. You have dated different people to find the person you want to marry. Treat internships the same way, don’t be too afraid to make a mistake. You never know that summer internship you took just to get some experience, could turn into the career job of your dreams!